I was invited to the official launch of Sullivan's which was to take place on Tuesday, August 30th. It would have included transport to and from Dublin and overnight accommodation. 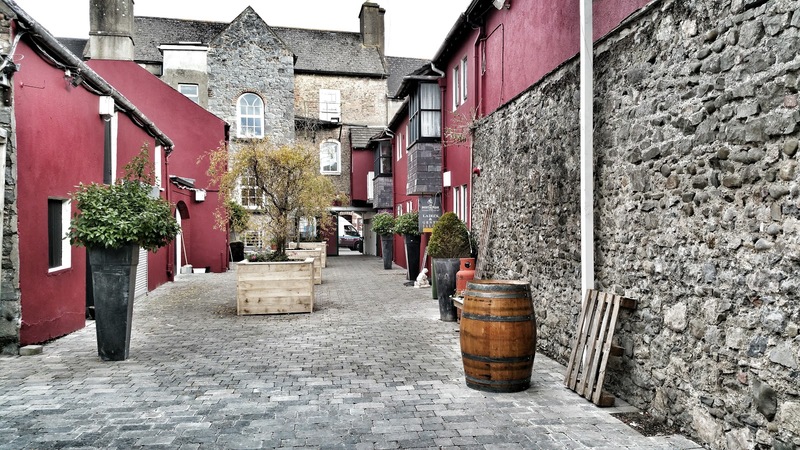 I couldn't make it so I got back to them and said that I would actually be in Kilkenny a few days before on the 27th and not just that, I would be with a number of Beoir members as it was the Beoir camping weekend. We arranged for a sneak preview on Saturday afternoon. After a beautiful walk from the Treegrove campsite, along by the river and down into the town, we found The Glasshouse down a courtyard under an archway. The building is a former garden centre. Just to the left is The Tap Room. In terms of a brewery, they have a small pilot kit in The Tap Room. This is for designing and tweaking recipes as well as providing something shiny to look at. 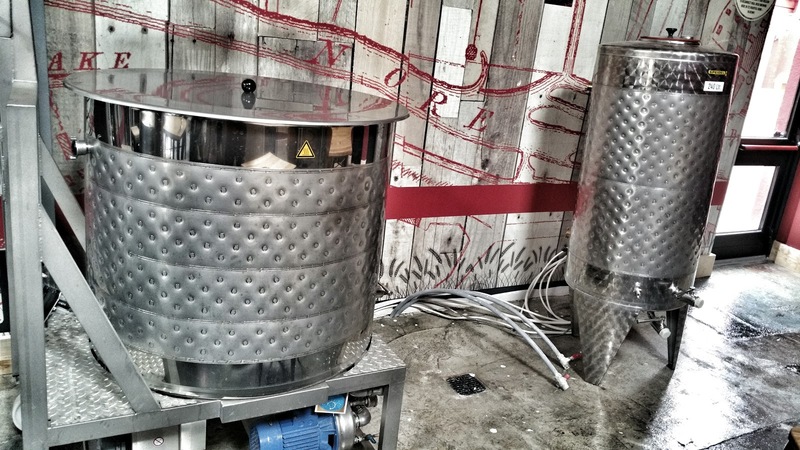 The real brewing is currently done at Boyne Brewhouse in Drogheda while they plan and build their own. 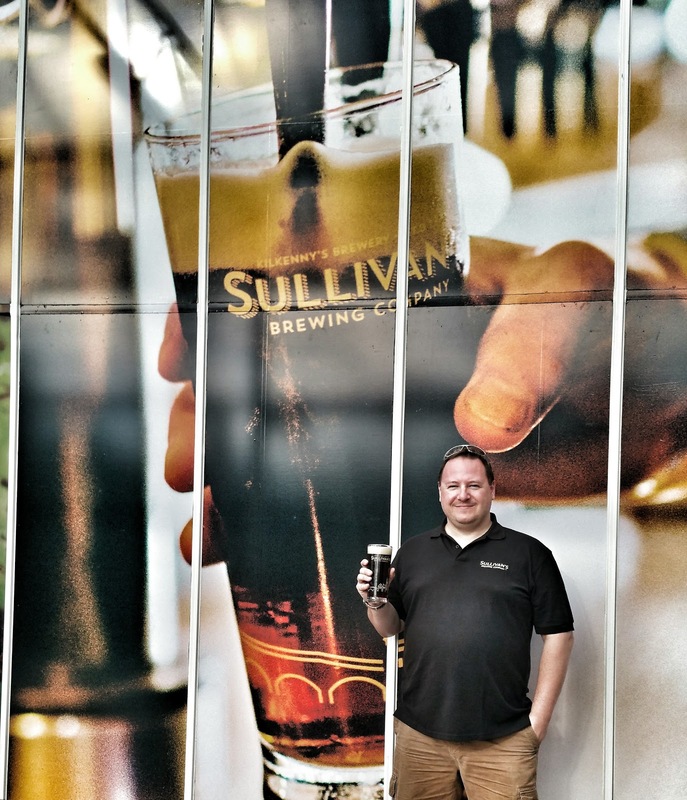 The earliest known brewery was Sullivan's in 1706. It was purchased by Edmund Smithwick in 1827, and was then also a distillery. 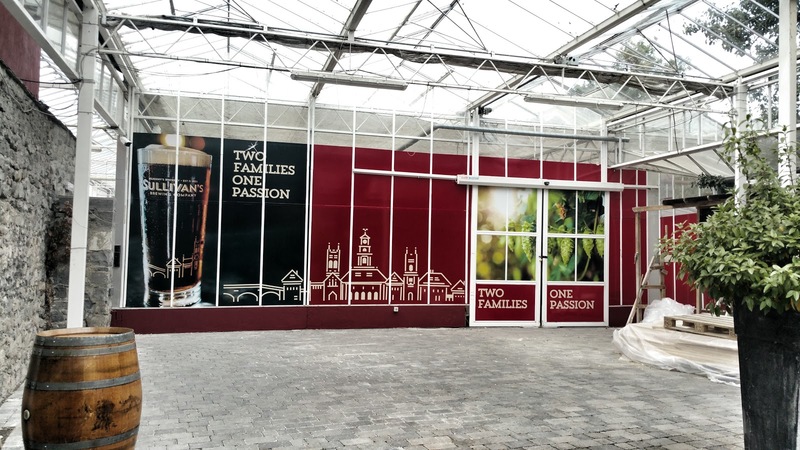 This brewery was one of the Kilkenny success stories. It was located in the ruins of the old St Francis' Abbey and was also known by that name. 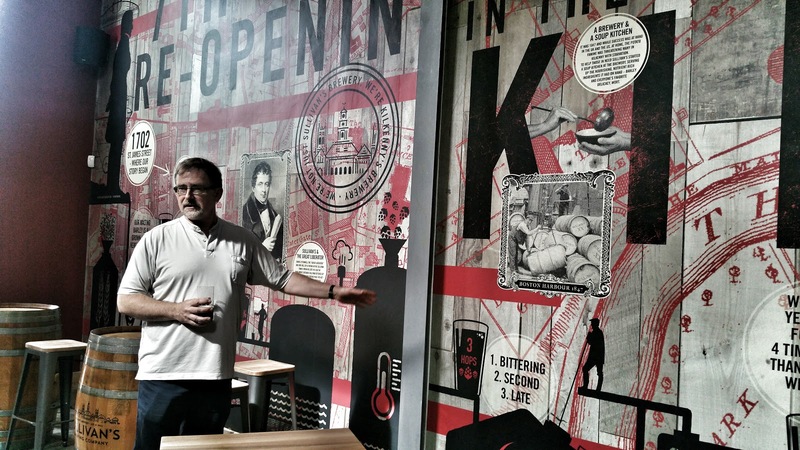 The Sullivan and Smithwick family had intermarried, so the brewery had a long and continuous history in the city. So this book somewhat contradicts the brewery spiel which to be honest is far more interesting. Losing a brewery in a bet? A far better story. Either accounting could be the truth I suppose and I'm not going to delve any further into the history than that, here's why. When Smithwick's was bought by Diageo in 1965, I'm guessing they only bought the Smithwick's brand itself as the Sullivan's brand remained with the family. Paul Smithwick, a former solicitor is the Chairman of Sullivan’s Brewing Company while Dan Smithwick is their Chief Financial Officer so the brewery is firm in it's brewing family roots. They took it a step further and hired Ian Hamilton as their Brewmaster. Ian has over 35 years of experience in the industry having worked around the world. He served as Head Brewer at the Smithwick's brewery from 2001 until 2013, shortly before it closed and production moved to Dublin. 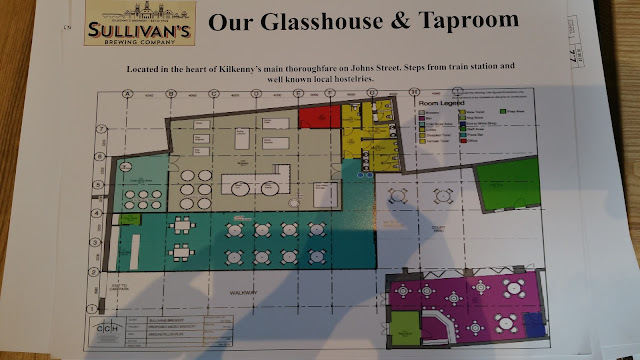 This gives Sullivan's both the heritage and the experience to turn this into something special. How are they going to achieve that though? For one thing, they have partnered with The Wine Centre, an excellent off-licence which is more than it seems. It may currently trade as a bottle shop but it actually has a full 7 day pub licence which is why The Tap Room is able to serve beer. 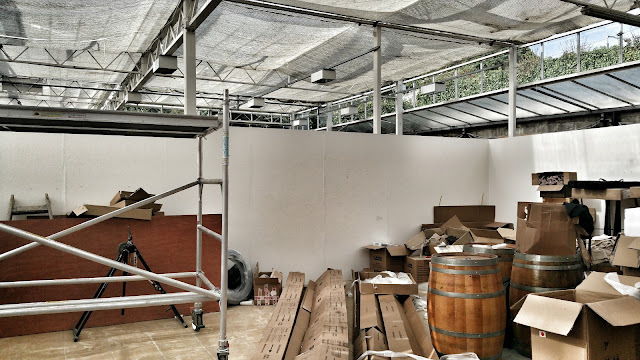 The Tap Room is located in a building at the back of The Wine Centre with a walkway between them builg finished off while we were there. Take a look at this Google streetview. 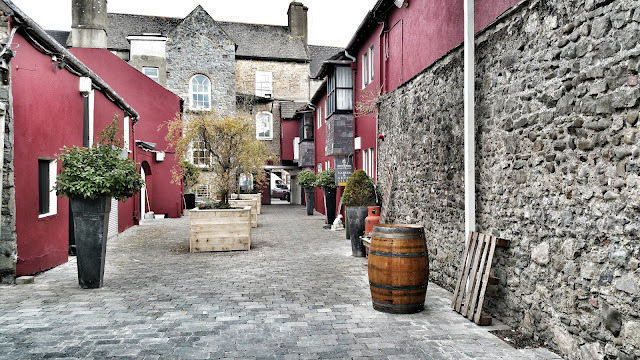 The Wine Centre is on the left while on the right, that white building with the archway is part of Sullivan's along with most or even all of that courtyard. This courtyard leads to the Glasshouse. Here's the view from behind, just at the Glasshouse end. The grey brick building to the right is The Tap Room. I don't recall about the buildings to the left but that might also be theirs. 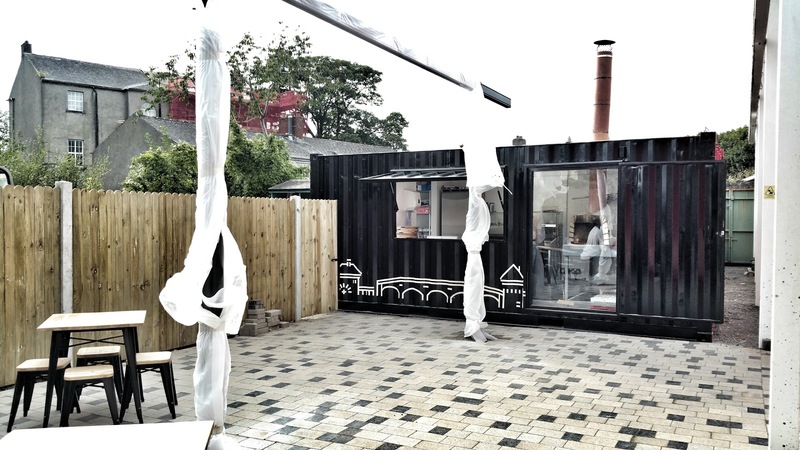 At the back of The Tap Room is a courtyard with seating and a pizza place with a brick oven sitting in a re-purposed shipping container. There's a large wasteland area behind the fence which is also their. It currently has construction equipment. Behind the shipping container, you can just see a gate. That leads to a private car part which in turn leads to a large public car park. Locals use the walkway from that public car park, through the alley and then to John Street as an unofficial right of way. That means they get a lot of foot traffic coming right through. That might be very beneficial. The whole setup would make a great place for a beer festival. Here's a picture of the plans. The purple area in the bottom right is The Tap Room. The large building is The Glass House. The front part of that in a sort of turquoise colour would be a seating area. The sort of grey looking bit is where the brewery should be going. There's a wall at the back of The Glass House which is actually part of the old Kilkenny city walls. That means they may face certain restrictions. Just to point one thing out. 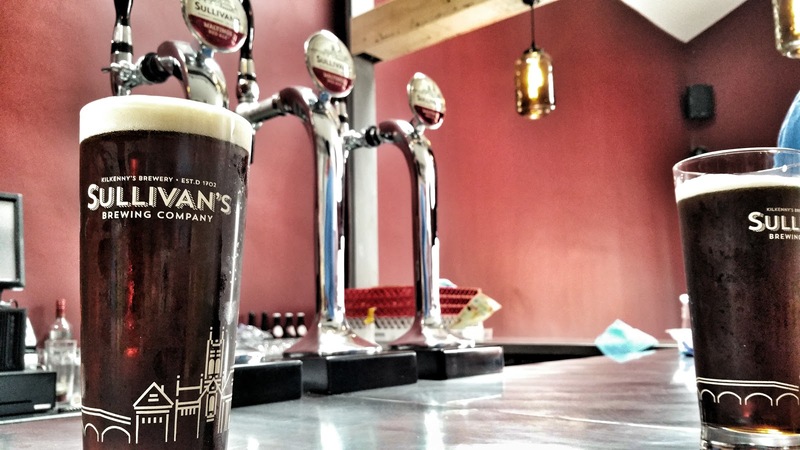 There's another Kilkenny beer brand out there. Costellos launched in 2014 and like Sullivan's, it's still a contract brand for now. They brew at Trouble Brewing in Kildare. Costellos also have one beer which is a red ale. It's a very different beer to Sullivan's though being drier and more hop forward to suit those that prefer a slightly more bitter beer. I wish Sullivan's all the best and look forward to seeing how they grow. I look forward to the day that a working brewery opens again in Kilkenny. A big thanks to the whole team for the wonderful hospitality they showed us Beoir campers.